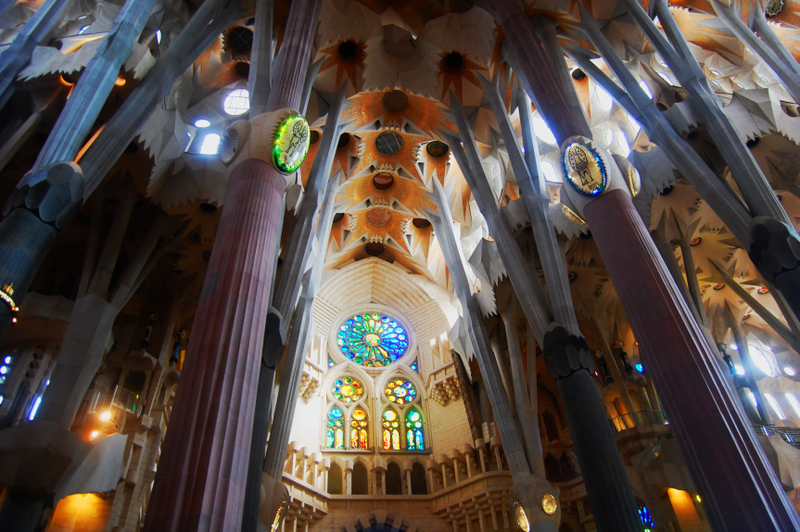 The Sagrada Familia is one of the world’s most famous churches and Gaudi’s masterpiece. Although the works are still in progress, visiting the Sagrada Familia is a must do when you are in Barcelona. Long waiting lines might scare you off but it is still worth waiting in line for. But skipping the line could save you a lot of time. Tickets to the Sagrada Familia can be booked online in advance from the official website http://visit.sagradafamilia.cat. There is a discount for children under 18, students and seniors above 65. Anyone younger than 11 goes in for free. You also have the choice to add a visit to the towers of the Sagrada Familia and to include an audio guide or book a tour guide. Take notice that a visit to the towers of the Sagrada Familia could not be possible due to weather restrictions. With strong wind or heavy rain the towers could be closed.